Tariq has worked for Apple and Nike. 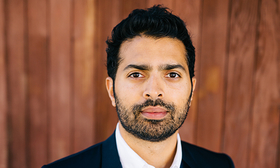 Ford Motor Co. has hired former Apple marketing executive Musa Tariq to be vice president and chief brand officer, a new position created as the company focuses on new mobility services. Tariq, 34, will begin his role Jan. 30. As Ford’s brand officer, he will work with marketing, communications and company leaders across the globe to build the brand. Tariq will report to Stephen Odell, Ford’s head of global marketing sales and service, and Ray Day, Ford group vice president, communications. Before Ford, Tariq was Apple’s global marketing and communications director for retail. He had previously served as director of social media and community at Nike, and was the global head of digital marketing and, later, became director of social media at Burberry.